Professors Dorthe Dahl-Jensen, Jens Hjorth and Mikkel Thorup of the University of Copenhagen’s Faculty of Science, are among 11 Danish research heavyweights to receive up to 40 million kroner each from the VILLUM FONDEN as part of the foundation’s new VILLUM Investigator Programme. VILLUM’s 400 million kroner of funding will further technical and scientific excellence in Denmark by enabling these researchers to explore new paths. 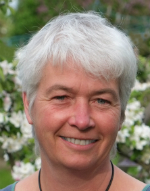 Professor Dorthe Dahl-Jensen works with ice-core drilling and the measurement of ice streams. Dahl-Jensen and her research group are the first and only ones to drill ice core samples from the middle ice streams. Half of the ice mass lost from Greenland’s ice sheet is attributable to the flow of ice streams. Using state-of-the-art radar equipment, Dorthe Dahl-Jensen analyzes the processes at work within ice. Ice-streams are like rivers of fast-flowing ice that flow across Greenland’s ice sheet towards the sea, eventually calving to become icebergs. The work is significant as the research results will contribute to far more accurate models for predicting future sea level increases - an area currently subject to great uncertainty. 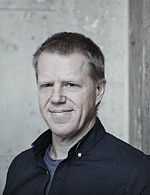 Professor Jens Hjorth receives a grant to expand upon his work at the already successful Dark Cosmology Centre. 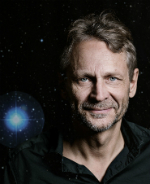 Jens Hjorth is among the world’s best in the field of cosmology. He seeks to generate more knowledge about dark energy, the origin of gold, and the origins of other solids found upon and within our planet. Jens Hjorth will address these questions by studying sources from across the universe, such as gravitational waves and signals from exploding supernovas. Research will be conducted using modern satellites, including both the Hubble Space Telescope and the new James Webb Space Telescope. The grant will allow Professor Mikkel Thorup to translate his status and strengths to develop the Basic Algorithms Research Center (BARC): a powerhouse set to physically assemble an international group of leading algorithm researchers including Stephen Alstrup from the University of Copenhagen, Rasmus Pagh and Thore Husfeldt from ITU, and attract talent from around the world. BARC will put Copenhagen on the map for algorithmics research - the study of how to effectively manage data. As data growth far outpaces computing speeds, more effective algorithms are becoming ever more critical. Together with Phd’s, postdocs and international guest researchers, Mikkel Thorup expects fundamental breakthroughs that will catalyze large-scale commercial ventures – e.g., the founders of Google, Microsoft, and Akamai all have backgrounds in algorithmics. "The researchers have demonstrated innovative, ground-breaking research of the highest international caliber. Each has the leadership skills and potential to build and maintain an international research environment, and thereby make significant contributions to technical and scientific research — and thereby to society as a whole." All 11 researchers will be honoured at an event on April 27, 2017 set to include the participation of Higher Education and Science Minister Søren Pind, among others. The event will take place at the VILLUM Windows Collection in Søborg, Denmark. The event is open to the press. See a complete list of the researchers to receive a share of the VILLUM FONDEN’s 400 million kroner in funding.